This past weekend I participated in Dave Roman’s Comics Quickfire Challenge at the Kids Read Comics celebration in Ann Arbor. Now, by panel two there had already been a massive explosion in bunny world and the “twist” that an audience member suggested was the arrival of a “hare dresser” to save the blown-up bunnies. 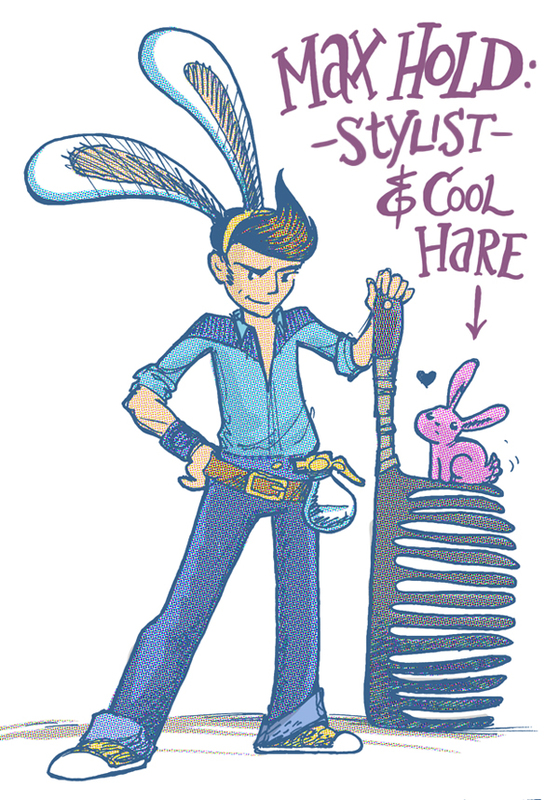 And so, in the space of an instant, Max Hold (Hare Dresser, though he prefers the term “stylist”), was born. Wielding his magic, oversized comb, and wearing his rabbit ears that warn him of danger, he runs to save all rabbits from their impending doom. Or something like that. For this picture I gave him a sidekick named “Cool Hare” and I experimented with zipatone patterns in Photoshop. 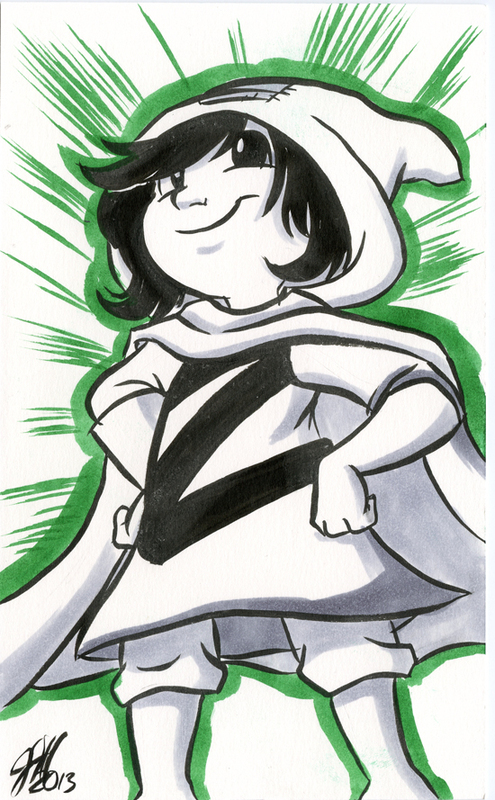 Also at KRC, i was given THIS FANTASTIC ZITA FAN ART from artist Joshua Buchanan!